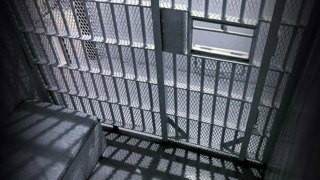 The medical examiner's office ruled an inmate's death over the weekend at the Fairfax County jail was the result of natural causes. Nancy Bull, administrator of the state medical examiner's northern Virginia office, said Tuesday 53-year-old Kelly Maurice Scott of Herndon died from inflammation caused by a perforated ulcer. Scott, who was black, was found unresponsive in his cell Saturday morning, police said, and efforts to revive him failed. Scott had been incarcerated at the jail since September 2015 and was assigned to a unit where inmates are checked every 30 minutes. Nothing about his death appears suspicious, but a routine investigation is being conducted, police said. Court records show Scott was serving a 15-month sentence for a probation violation on a drug charge.